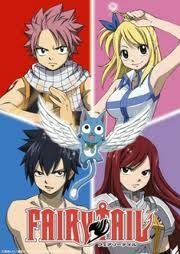 You are going to Watch Fairy Tail (Official Dub) Episode 38 English dubbed online free episodes with HQ / high quality. Stream Anime Fairy Tail (Official Dub) Episode 38 Online English dub Destiny.Weakened from saving Natsu, Gray faints and is taken outside by Happy. Convinced by Siegrain’s arguments, the Magic Council prepares to fire the lethal weapon Etherion on the Tower of Heaven. Meanwhile, having beaten Ikaruga, the leader of the assassin group Trinity Raven, Erza advances to face Jellal alone.